Working in partnership with the residents of Door County’s five public school districts, the Community Foundation is exploring the creation of a consolidated alumni association for all of our community’s public school graduates. 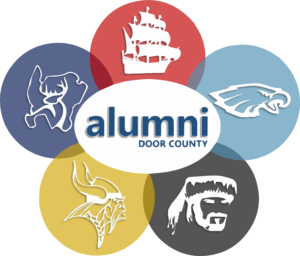 This new entity – known as Alumni Door County – will engage former students and the community at large in primary and secondary education in Door County. Alumni Door County seeks to engage and inspire our alumni, and all who care about our economic vitality and quality of life, to invest in education and our broader Door County community. The Community Foundation plans to execute a contract for a person or organization to “staff” this project during its formative stages. We are willing to consider proposals from individuals, non-profit organizations, and/or for-profit businesses. The ideal candidate will be able to develop and execute a plan to lead Alumni Door County to financial self-sufficiency, including the implementation of a fundraising program that will sustain the office beyond the term of this contract. Download the Request for Proposals for more information. Inquiries and materials should be directed to Bret Bicoy of the Door County Community Foundation at bret@givedoorcounty.org. There is no deadline for submission. Proposals will continue to be accepted until a satisfactory contractor or individual is found. Given that there is considerable flexibility in how this project might be implemented, it is highly recommended that potential contractors confer with Bicoy at (920) 746-1786 prior to the development and submission of any materials for consideration. Alumni Door County is still in the exploration stage but we’ll be sharing information as it develops via the Community Foundation’s monthly e-newsletter. For the latest updates on Alumni Door County, follow the Community Foundation on Facebook, Instagram, Twitter.